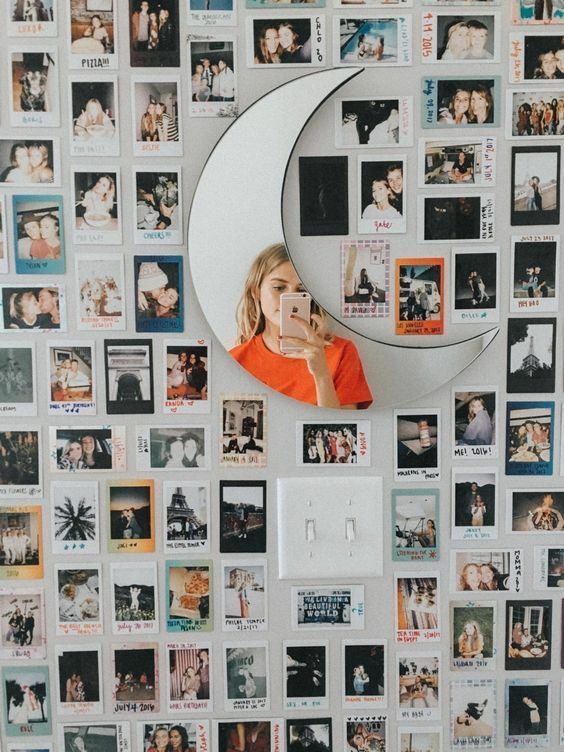 It’s no secret that we love gallery walls – they’re a stylish way to put your own stamp on any room in the house and if you’re also a big fan of Instagram, they’re a brilliant way to show off the pics that would otherwise remain on your phone! 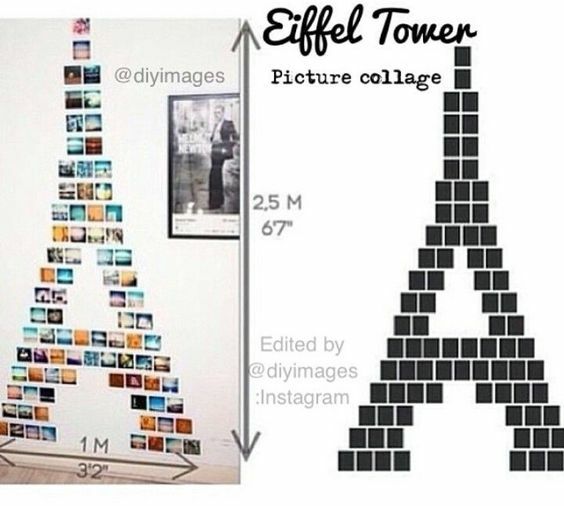 So for anyone who fancies creating one of their own, we’ve rounded up our favourite Instagram photo gallery ideas from Pinterest. Each idea is simple, stylish and easy to recreate without damaging the wall with HANGables® Removable Wall Fasteners (which are particularly handy for for students and renters!) Read on for inspiration. First up is this stunning minimalist grid layout! We love the idea of mirroring Instagram’s grid format and wrapping the photos around a good old inspirational quote. Simply stick each photo to the wall with HANGables® Removable Picture Hanging Squares. They won’t damage your wall and if you fancy mixing up your photos, simply peel one off and stick a new one on! Fancy getting creative? 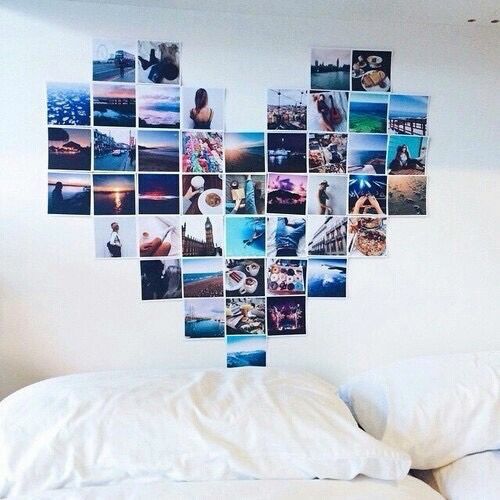 How about arranging your Instagram pics into the shape of a heart? 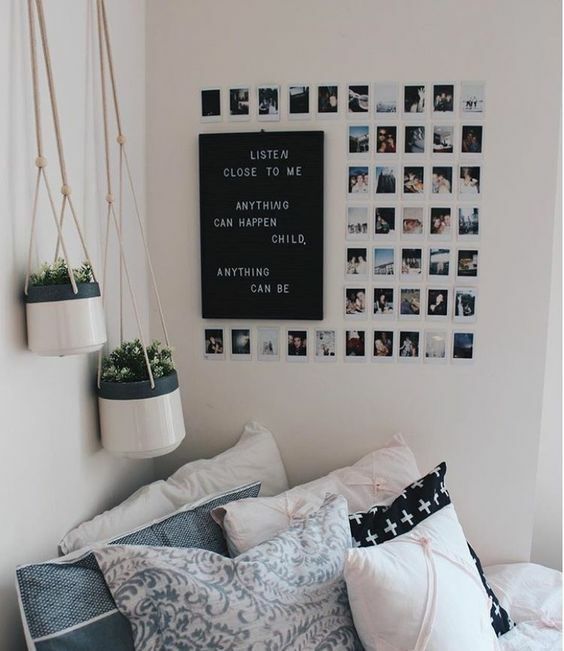 Stick them onto the wall with HANGables® Removable Picture Hanging Squares and you’ll have the makings of a beautiful picture wall that’s perfect for above your bed or sofa! 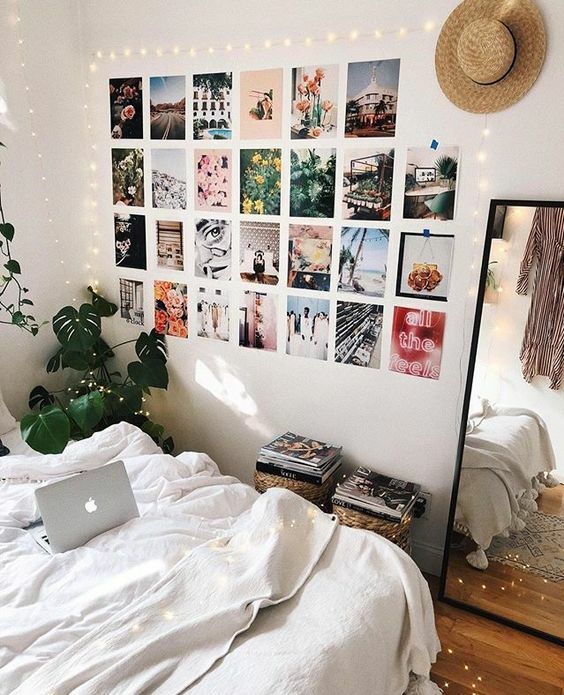 Want to make your Instagram gallery wall look a little more chic? 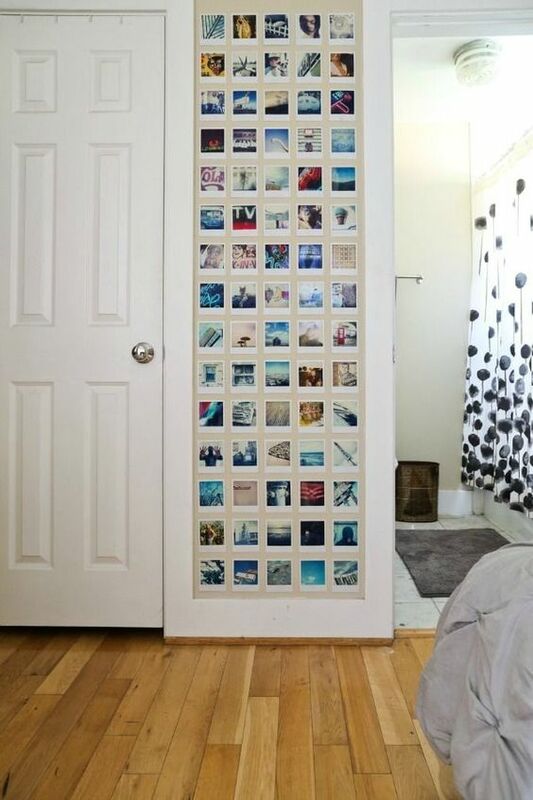 How about putting each photo in a cute wooden frame and sticking them to the wall in a grid layout? You don’t even need nails to do this; you can hang picture frames with HANGables® Removable Wall Fasteners and they won’t damage the wall when you peel them off. Love a bit of nostalgia? 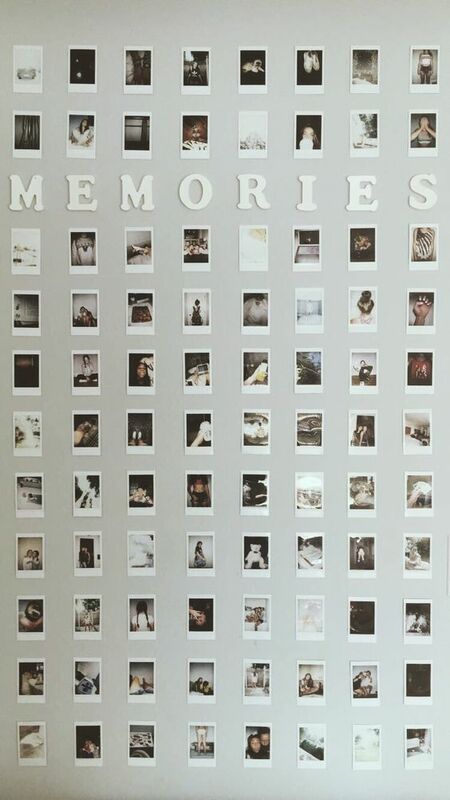 How about creating an Instagram gallery dedicated to your favourite memories? And yep, you can stick them all on with HANGables® Removable Wall Fasteners! Looking for a cute way to make your gallery wall unique? How about arranging all your photos around a quirky mirror like this? How about putting a spotlight on your gallery wall by surrounding it with fairy lights? You can stick the photos up with HANGables® Removable Wall Fasteners and the fairy lights will make your room lovely and atmospheric! How cute is this?! 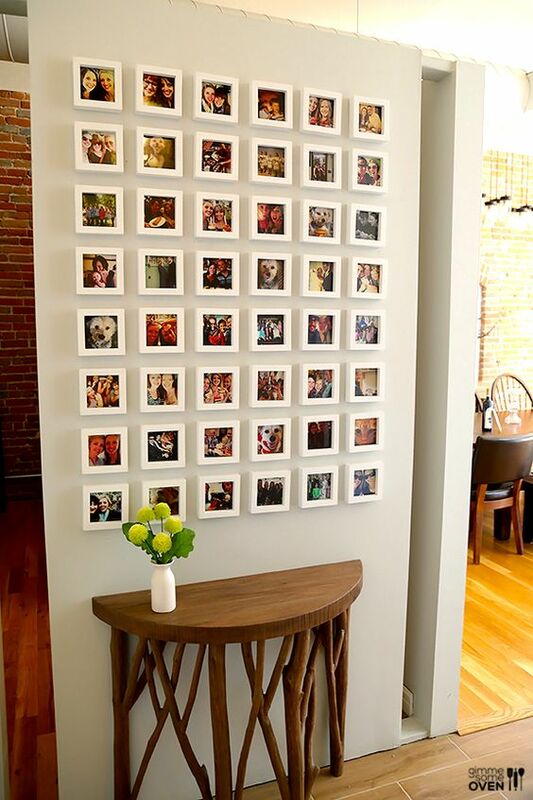 Why not use HANGables® Removable Wall Fasteners to create a little corner dedicated to your Instagram pics? Want to really make a statement? 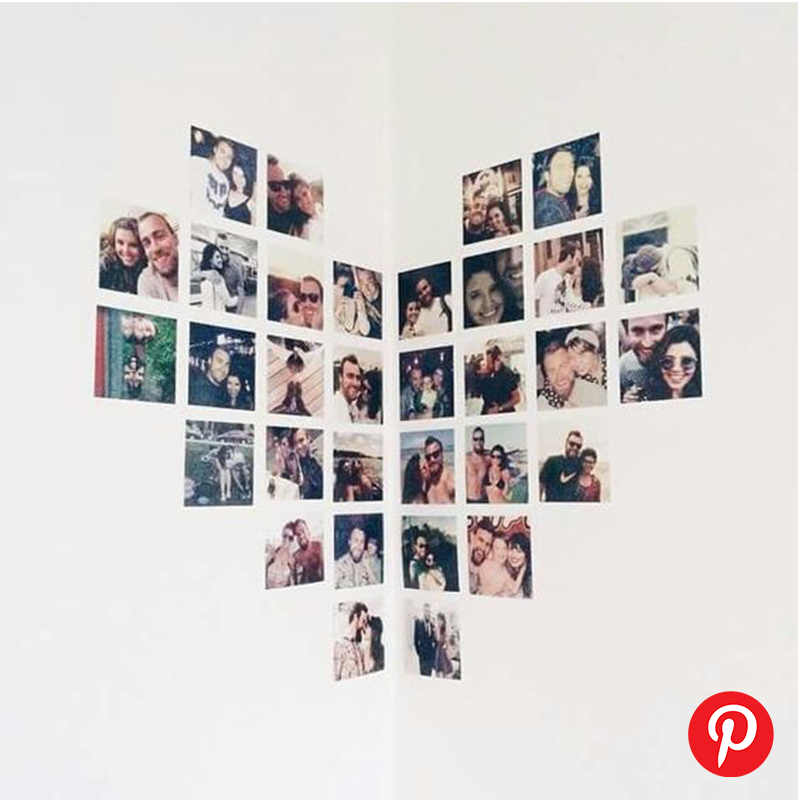 Choose a wall and use HANGables® Removable Wall Fasteners to fill it with your Instagram pics! This gallery wall idea is for the more creative among us! 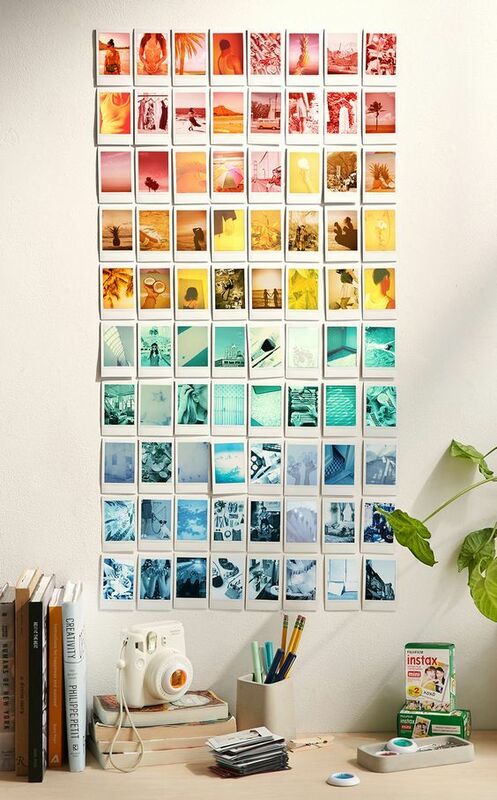 How about arranging your Instagram pics by colour to create this gorgeous rainbow gallery wall? Love to travel? Or love the city you live in? How about arranging your Instagram gallery wall in the shape of a particular monument or skyline that means something to you? And that’s it! 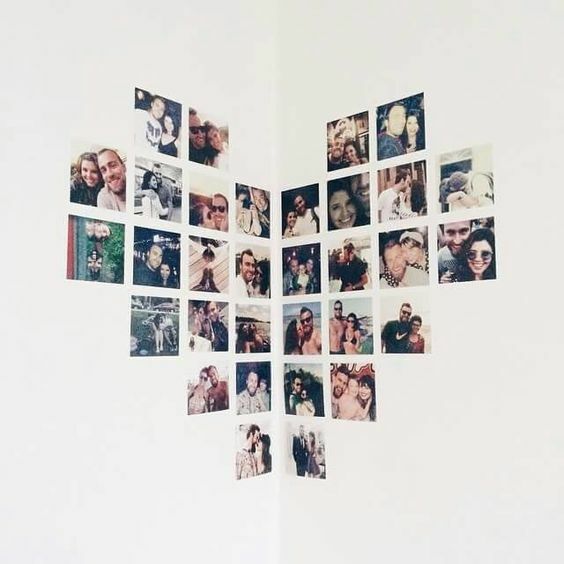 Tag @VELCROBRANDUK on Instagram if you have a go at making your own gallery wall! And stay on our blog to discover more inspiring ways to use HANGables® Removable Wall Fasteners!